Fifteen years after it began, there is still only one way I really want to greet you. You know I like to save the food for last, so this post, I’ll start with some telly. First up, I need to say that American Crime is my newest love, super addictive. The show is directed by John Ridley, who won an Oscar for the adapted screenplay of 12 Years a Slave. I can kinda see where it is headed, knowing now who the director is and slowly watching Felicity Huffman’s character show her uber racist side. Worth the watch, I promise. The acting is superb, Timothy Hutton is fantastic, as is Huffman. Desperate housewife in a total new way. I’m also watching Fresh off The Boat, which is straight from the early 90’s and my childhood. Except my family is not Chinese. Also, I was not a boy. We did have a maroon version of the minivan featured in the opening song though, wood panel and all. Now, on to crappy media. My kids are obsessed with this song that was popular in the Me-hi-can community a couple years back. Remember, my mom is like 97% Mexican, so I can totally say it like that. This song is currently on loop in my brain, not by choice. If you are looking to change your kid’s mood or just entertain them for a few minutes, I say watch the video below. If you are on the brink of insanity or on a date night, I’d say skip. *Disclaimer – If you are on a date with a Mexican farmer, totally watch it. You may get a proposal out of it. I have a bunch of cookbooks from the libes (our family pet name for the library). I was so pumped to find Vietnamese Home Cooking, by Charles Phan. I’ve flipped through the book before and found (what looked to be) an easy recipe for Pho. *If I knew how to put the Vietnamese tilde over the o in Pho, I totally would. Also, I am aware that it is not called a tilde, I’m just grammatically clueless here. I wanted something fast and pasta-less for dinner tonight, so I went the way of the rice noodle. Give this recipe a try, it’s easy, full of flavor and even got the approval of the little house men. To tell the truth, the only reason I just referred to my flesh and blood as little house men, was to segue to Game of Thrones. It is so close! Can’t wait to see who survives this season. And what about the little smurf eyed baby? GAH, I can’t wait! New favorite find! I have no idea whether this product is called “Low-In-Carb” or “Let’s Skip the Sandwhich,” I’m assuming the latter. Either way, they are the first wraps I have found in a long time that are comprised of recognizable ingredients. I use them as tortillas too, as most store bought tortillas are full of trans-fats and chemicals. Bonus points for 60 calories and 7 grams of fiber. If you are in the mood to make your own tortillas, I’ve got you covered too. Bring out your inner Mexican, girl! Or uh, boy! Let’s talk dinner time, the best and worst time of the day. Rarely do my family meals venture off the path of least resistance, (from the kids, that is). I tend to make meals that I know everyone will eat. Sometimes though, I get tired of it and willingly make two dinners, one for the kids and one for Jy and myself. If you are tired of eating all foods covered in cheese or with pasta, this recipe is meant for you. I’m always willing to drop $8 on some type of rice bowl when I’m out. Why don’t I ever make my own at home? You just KNOW it’s going to be cheaper, often times you are missing that extra oomph of flavor though. Enter in, Thai Shrimp Bowl, a dish for suburban folks with limited access to food which is not authentically Americanized. Mouthful? Yes, yes it is. Best part is that most of the ingredients can be used along with a couple eggs and some soy sauce to fry the kids (or picky spouse) up some fried rice. This photo here is before Sriracha drizzle, which is totally essential by the way. *DAMY friends, if you swap out the rice and peas for cauliflower and you’ve got yourself a DAMY approved recipe for meal 4! Big props to Gina’s Skinny Taste for the original Thai Coconut Curry Shrimp recipe! See that red on the steak? It’s from annatto, which I totally can’t wait to get my hands on and blog about. You may recognize the chayote from my Thanksgiving practice table too, new and fun! I’ve given my taste buds a venture out of my suburban lifestyle lately, and it has been tasty! Ok, so the real reason you read this post. I want to give someone $50, scratch that, Fresh & Easy wants to give someone a $50 gift card to buy some groceries. All you have to do is tell me who you are thankful for this year. That’s it! Leave me a comment below and you are entered into the giveaway! You have until this Tuesday at midnight to enter. Let’s get to thankin’ friends, hurry up, or I will cut you. I. will. cut. you. Check out our Saturday night dinner! Those are totally husband sized portions you are looking at below, so don’t email Amy Layne (DAMY) and tell on me! I’ve been doing good! Fresh & Easy brought Thanksgiving early this year! My husband helped put together our F&E Holiday Meal Box, he chose the rib roast over turkey or ham, we compromised on three different sides, picked up our box and had a full-blown holiday dinner in less than two hours, most of which was hands-off time. Run-on sentence not included. Rib Roast needed to cook for about an hour and fifteen, while our sweet potato mash and sausage cornbread stuffing only needed 25 minutes in the oven. At the tail end of those 25 minutes, I pan fried our Brussels with bacon, microwaved the gravy and made the kids set the table. Easy peasy, lemon squeezy. If you take a look at the top center of the photo, you’ll see a blue dish of what looks like sliced pears or pickles. They are chayote squash! I just learned how to cut and roast the sweet little guys on Friday. I may have gone a little over board, as every meal now includes our left-over chayote. So, I have had plenty-a boxed Thanksgiving dinners. My family has tried Safeway’s box, Whole Foods’ meal, and we aren’t too embarrassed to note we’ve picked up a dozen or two biscuits from KFC on turkey day. This meal was totally different, it had, ok…brace yourself…flavor!!! Most heat and serve meals are seriously bland, but F&E did an awesome job with the layers of flavor in each dish. Dallas liked the stuffing best, Max was all about the sweet potatoes, Jy loved the meat and gravy. Me? Pumpkin pie. Forgot to buy whipped cream though, dang Tina! I want to mention that Fresh & Easy bought this meal for me, but I wouldn’t hesitate to give it a bad review if I wasn’t impressed. Ooh, I should also add that we chose the priciest dinner, which was still only about $65 and meant to serve 6-8. I would lean towards a plan of six hefty plates, unless you eat your holiday meals with supermodels, then the box would feed around 18. You can expect to hear a bit more about Fresh & Easy soon, as I’ll be testing three of their wines this Thursday night! Woohoo! So you have some ground beef (or turkey) in the fridge and the only things that come to mind for dinner are meatloaf, hamburgers or meatballs. You could try a taco route, but you don’t have all the ingredients. Same goes for a pasta dish. What else is there left to do with ground meet? Korea-fy it! Granted, there probably is no Korean person I know that would call this a traditional dish. 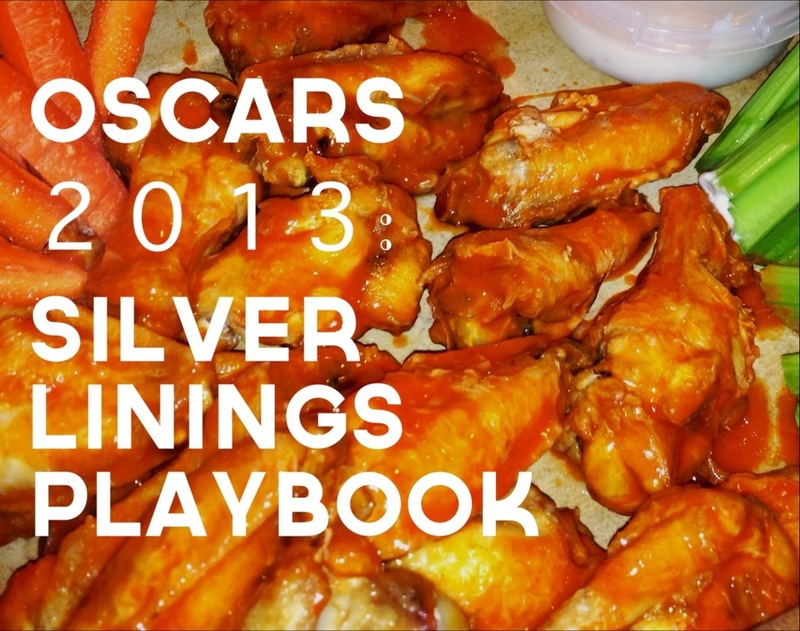 In fact, this recipe comes to you from one of the whitest girls on the internet. Lizzy Writes is a fun blog I found through Pinterest and it is also where you can find the recipe for Korean Beef. My kids loved this as did my husband. I found it a little sweet, so next time I’ll take it a bit easier on the brown sugar. That said, Korean Beef has won a place in my menu plan as a once a month dinner. Time to put the littles to bed. They are seriously excited at the possibility of trapping a Leprechaun overnight. Happy St. Patrick’s Eve, friends! I found what looked to be a delicious soup on Pinterest and could not wait to give it a whirl. So much of the time, what you find on Pinterest is pretty much just a pretty photo or novel idea. Not this time! I had a feeling about Cookin’ Canuck’s recipe for Fisherman’s Soup and my instincts set me in the right direction. Every so often, I develop a new blog crush. My longest one-way relationship was with The Pioneer Woman. My newest? Cookin’ Canuck of course! I love that she is super down to earth, totally adorable and she’s been through a weight loss journey herself. Heat the olive oil in a large saucepan set over medium heat. Add the onion, garlic, red bell pepper and carrot. Cook, stirring occasionally, until the onions and peppers are tender, 7 to 8 minutes. Add the oregano and chile flakes, and cook for 1 minute. Add the parsley and white wine, and cook for 1 additional minute. Add the tomatoes and vegetable broth, and bring to a simmer. Add the tilapia pieces and cook, stirring occasionally, until the fish is almost cooked through, about 4 minutes. Add the shrimp and continue to simmer until the shrimp is barely cooked through, 2 to 3 minutes. Remove from heat, stir in capers and season to taste with salt and pepper. Serve. The worst part of this soup was peeling the shells of the shrimp. Follow the recipe and get shelled (meaning no-shell) shrimp. I could have never married a food critic or adventure loving eater like Anthony Bourdain. Shelling the shrimp was super traumatizing. Now, off to get in a workout. Dallas is helping me stay on track with exercising; we have a calendar to mark all our workouts. One month and I’m rewarded with a mani/pedi and he gets a new Wii game. After my four month (16 week) DAMY plan is over, I have made Jy promise me a big, fat, long date in San Francisco. Time to go sweat and forget about the WORST picture of me posted on my dentist’s Facebook page. Seriously, the worst. I had to ask them to take it down it was so awful. Talk about a tearful motivation. So, you’ve gone to Costco and have bought yourself 3.25 pounds of Tilapia. Now watchoo gonna do with it? I’ll show you how I rationed mine white fish out! Bake for around 15 minutes at 350 degrees and you’ve got yourself some nice boring old fish that tastes good but brings no boys to the yard. Keep shaking that milkshake girls. Oh girl, you gonna like this. Next three big, fat, juicy pieces of fish are going in the crock pot! Did I mention you can cook your whole fish purchase in a short afternoon? Then, freeze it or reheat it for dinner. What-what! Packet number one is tilapia with balsamic and honey drizzled over the top, with lemon slices (but orange slices would be yummier). Perfect for topping a salad. This fish belongs to me! Number two is full of fat and for the kids. Garlic, full fat plain yogurt and a whole lotta cheddar. Number three, big butter chunk, plenty of olive oil and some good shakes of salt and pepper. Seal each fish into a foil packet, closing each packet up nicely and stack into a 6 quart CROCKPOT (slow cooker). Cook for 2 to 2 1/2 hours on high and carefully remove the steaming hot foil packs. Your fish will be fluffy and flaky. Check it! So yummy! I mixed the kids’ fish into some macaroni and cheese and they accepted it. That’s all I can ask for. The last two pieces of fish were cut into chunks and flash frozen for future soup or pasta additions. Ok, I have to stop and add a quick little note. Since I’ve moved my blog to WordPress.org, I have lost about 1,000 views a day. Sad, right? Be my best friend ever and share Food It Forward if you like it! 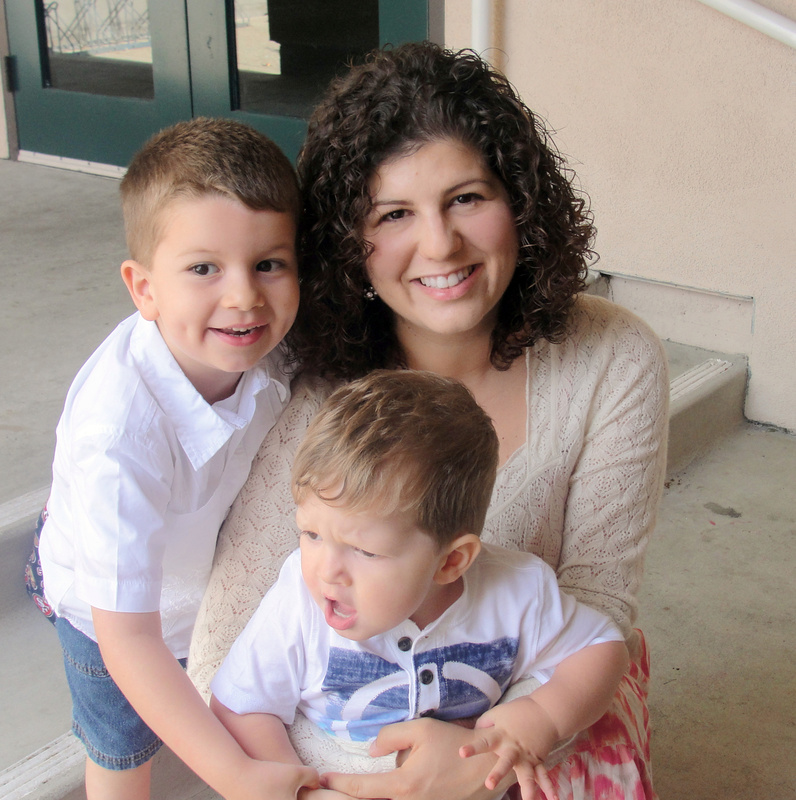 Follow me on Twitter to hear how my son says sweet things to me like, “I love you….stupid”. You can join the FoFo Facebook page, so you won’t miss a post. Or better than all of that, you can send me your copy of last week’s People magazine. Because I totally love reading it, but never buy it. Slowly but surely, as Pinterest pinners find their way back to my posts and WordPress.com readers search Food It Forward back, the site will once again grow. For now, I will cherish you, my special 8-35 readers a day and treat you all like my children. Except, you TOTALLY don’t want me to do that. I can barely handle two kids. Before you know it, I’ll start giving you chores and making you get my iced coffee. What can compare with your beautiful sound? My name called by a Barista? 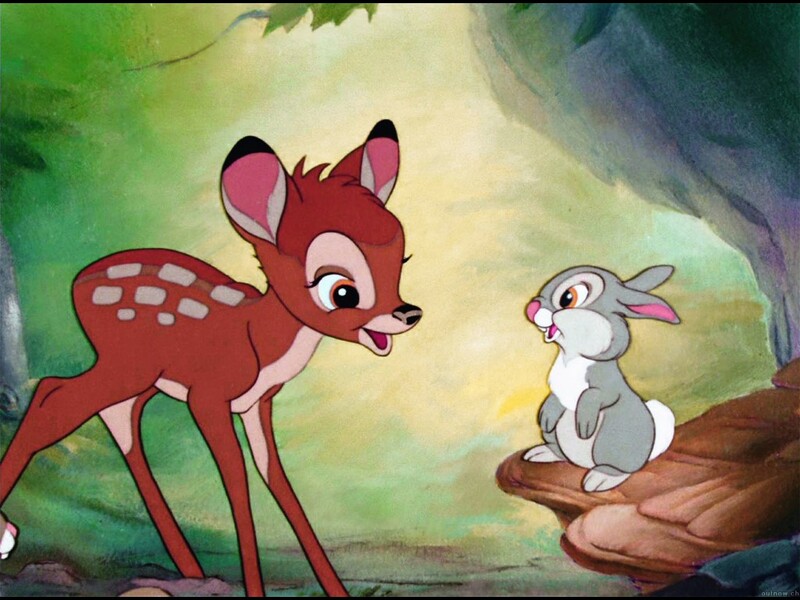 It might come in a close second, Bambi. So, it’s raining off and on and we have all the time in the world this week as school is out for Spring Break. Luckily, us Californians are quite fearful of water falling from the sky, so most kid friendly places are empty. Well, except for the pay to play joints, I’m steering clear of those stops. We are half way through our looong week at home and things are going pretty well. I surprised the kids with a Playdough Swirl Shop set that I had tucked away for a rainy day, the boys went shopping with me and I still saved plenty of money AND I’ve managed to get some laundry done. No one said I have put any away, but at least it is clean. No lecture this week. 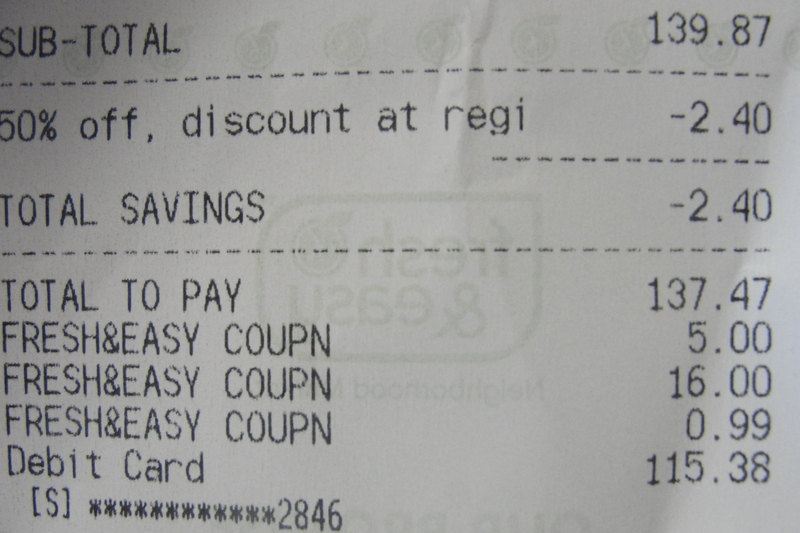 Just gonna show you what only 3 coupons can do at F&E. Look what Fresh & Easy started offering. 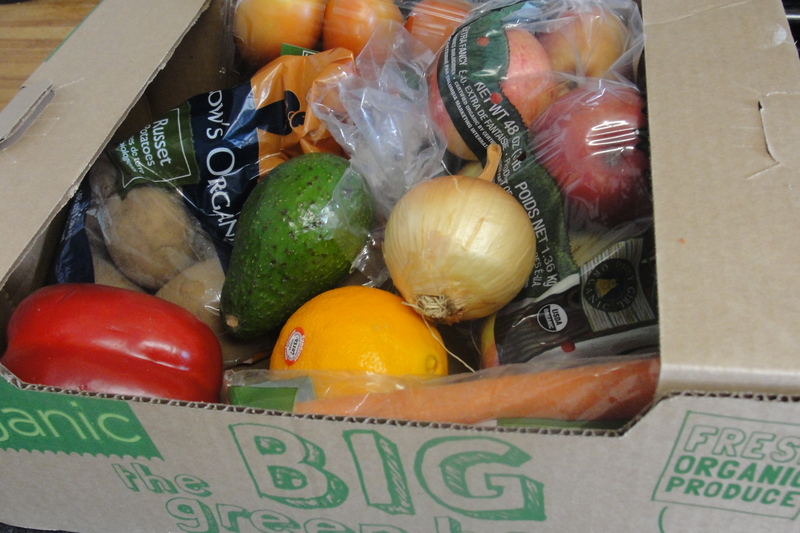 A fun CSA style organic box! We have tried Farm Fresh to You off and on and have had decent experiences. I usually end up cancelling subscriptions in favor of finding my own organic deals though. F&E’s box is fun because it is right there, where you can look inside and make sure you have exactly what you want. 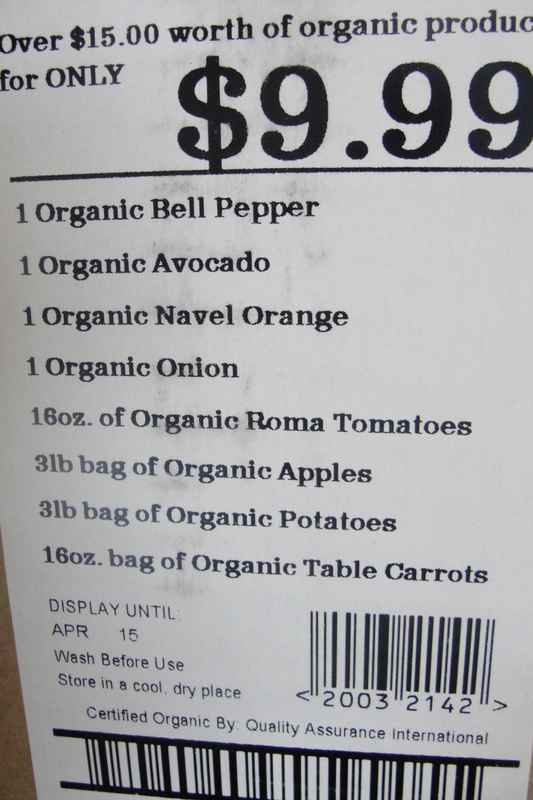 Everything is organic and your savings is listed on the side. While at the store, I grabbed (almost) everything I needed to replicate a tasty looking salad I spied on Pinterest last night. Cilantro Lime Chickpea salad sounds like a springtime dish and I am trying my best not to turn to big bowls of cheesy pasta during all this rain! The original recipe instructs the spinach and cilantro to be chopped to bits in a food processor. I created my lunch while Max was napping, so a knife had to do the work. I’ll admit the food processed version looks much more fun. I’m still eating on the DAMY program, where chickpeas are my carbs for lunch and not my protein as they had always been in a past life. I mixed in some cottage cheese and wound up topping the salad with a few pumpkin seeds. Totally satisfying, totally spring-y and totally delicious. 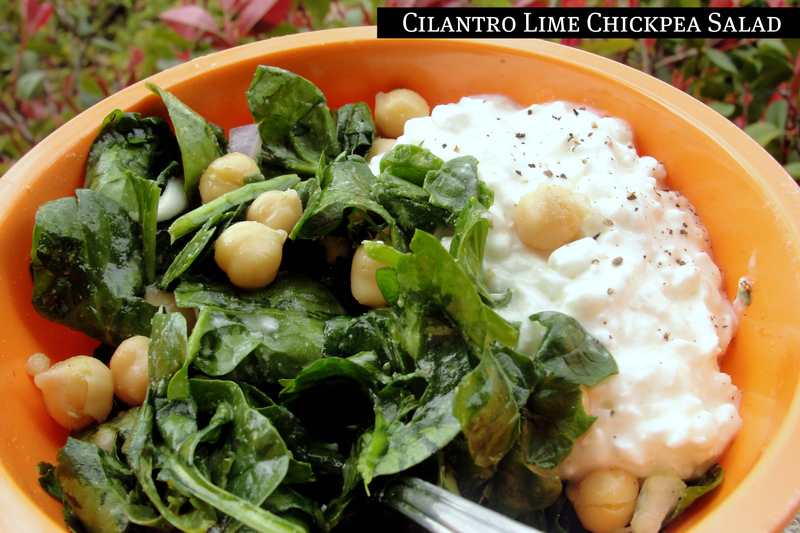 Head over to Oh She Glows to get the recipe for Cilantro Lime Chickpea Salad and drool over her photo! I have about 80 pictures from Easter and this is the best one I could find. Why is it so hard to have two kids look forward and smile at the same time? Why oh why? I bought a zillion-pack of Tilapia from Costco last week. I didn’t freeze smaller portions of the pack, as I should have. So, I found myself with 12 or so pieces of fish that needed to be cooked, pronto! I always trust Weelicious.com when it comes to kid-friendly food, the kids almost always gobble up anything inspired by one of my top ten favorite recipe sites. Unless I make chewy granola bars with chocolate chips, then I eat them before the kids figure out I’ve baked anything. 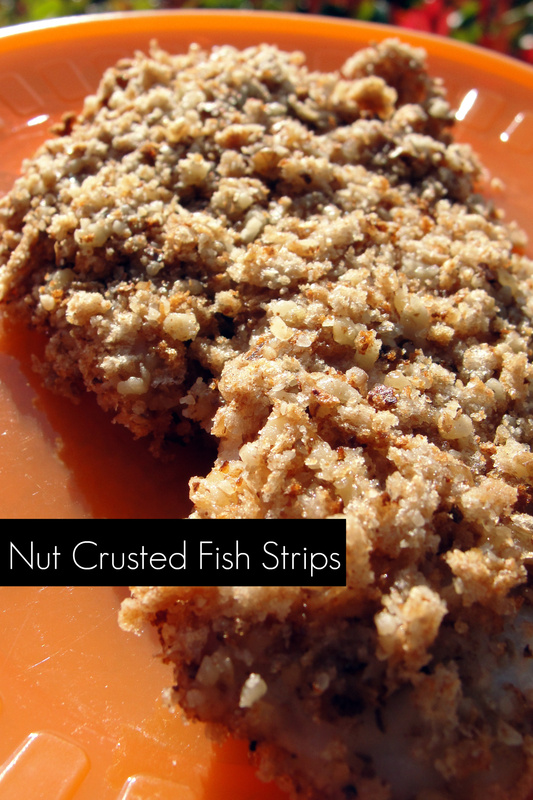 Nut Crusted Fish Strips are super simple, with light flavor. Dallas thought we were having chicken strips, so the appearance deserves some applause as well. I ate some left over turkey meatballs while the kids (and the husband) ate the little fishies. I needed to get the darn balls out of the fridge and they were just way to spicy for the kids. After setting my tongue on fire with meatballs, I tasted a bite of Max’s fish to test how well the recipe came out. I might as well have taken a bite of a potato, I couldn’t taste anything at that point! So, the next afternoon, I had some for lunch. I think that statement goes to prove what a great recipe this is. Any crusted fish that can be microwaved and eaten the next day and still taste good, well…that’s just a recipe for pigs flying, right there. To check out this recipe, head over to Weelicious and print. You’ll want this for your recipe file! The only change I made was with the bread crumbs. I toasted two pieces of wheat bread and blended them up along with the nuts. We are on the last day of eating what is on hand before I head out for another big shopping trip. I’ve gotten pretty inventive these past few days and have started to actually use the staples I stock up on. Tonight’s dinner for the boys includes brown rice with red & white kidney beans sautéed in carrots that I bought about 3 weeks ago (shhh! ), some ground turkey meat with seasoning and some cheese on top. Just call tonight’s dinner, crappy Scrappy-Do! I don’t eat carbs at dinner now, so I am not sure what I’ll make for myself. But it probably involves Tilapia. Yesterday, the boys had mock sushi for dinner, I should have taken a picture, they loved it. I puffed up some Tortilla Land wheat tortillas, smothered them with a mild flavored guacamole (made from 2 avocados, garlic, salt, pepper and lime juice), and loaded the inside with balsamic flavored fish, sautéed spinach, red bell pepper and rolled them tight. Talk about taking a chance, right? They loved them, sometimes I just never know what is gonna fly and what isn’t. Did you know I don’t have a grill? It is almost grilling season and our big, fat, bbq died a couple years back. I won’t go another summer without bbq, people. I just won’t! Better get back in the kitchen and keep working on our gourmet hodge podge. 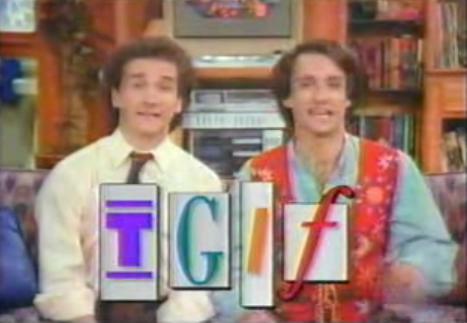 See you tomorrow, when it is FRIDAY!